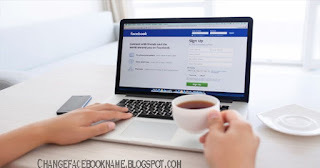 FB Login or Sign up Facebook Page: Facebook is the fastest-growing social media where millions of people connects with one another on a daily basis. To join Facebook, all you require is an email address (yahoo mail, Microsoft account, Gmail etc.) or you can sign up temporarily with your mobile number. Then click on "create account"
You have successfully created your own Facebook account after following the above steps, go further with the steps below to develop your profile. Profile information: Facebook will require you to input some profile information such as university/college name, present city, hometown, place of work and so on. At completion of the form, click save and continue to add the information into your profile. Upload a picture: Facebook will finally require you to upload a picture which will act as your profile picture. This is the picture other Facebook users will see whenever they check for your profile name. You can either take a picture using the camera or choose a picture from your files. Now that you have set up your Facebook account, it time to learn how to login whenever you want to access your account again. Finally, click on login and you will be ushered into your Facebook account. You can now connect with other millions of Facebook users within and outside your country of residence.